I’m not avoiding fruits, my regular bread or regular peanut butter. It is a happy balance for me and so far, so good and I”m 5 days in. I only had one slip up because I wasn’t paying attention. Oh Reddi-Whip at the office, you got me! Zoe has been obsessed with muffins, ever since we were gifted some, so I was motivated to find a healthy muffin that I would feel good about giving her, and able to eat myself. *I removed the sugar/stevia from the recipe. Follow the baking instructions from the link. Verdict? She likes them! I think they are just OK, so I’m going to play with upping the peanut butter and banana ratio. I didn’t snap a photo of the finally product. Enjoy! Happy Holidays everyone. Things have been busy around here and our days have been filled with family, friends, good food and lots of laughter. It has been an amazing couple of weeks. I realized recently that even though I haven’t been as active in the kitchen, there are definitely some weekly must-haves that I use to whip together simple dinners and tasty packed lunches. 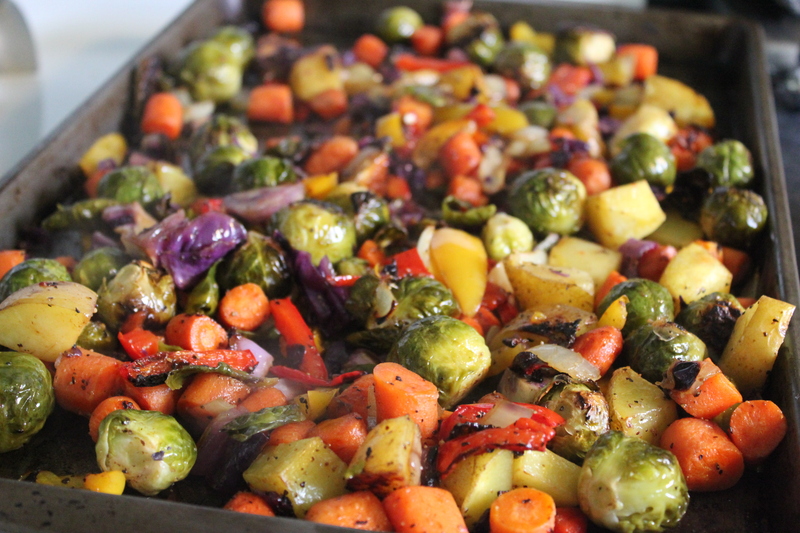 Lately, I’ve been obsessed with roasted vegetables and they have become a staple in my kitchen. Chop whatever is on hand (brussels sprouts are a must for me! 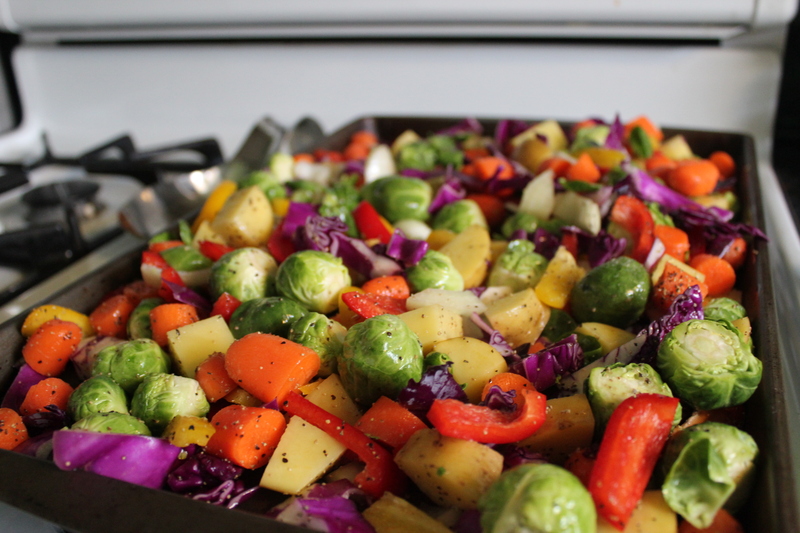 ), toss with salt, pepper and olive oil and then pop them into the oven for 40-45 minutes at 425. Mmmmmm. They make the perfect salad topper, and addition to pasta or soup or a casserole. The options are endless in my opinion. I have so much summer squash and zucchini puree for baby Z, that I’ve started adding a serving to everything. You name it, I’ve added. (Chili, soup, pasta, lasagna, casserole, etc) It’s amazing and helps our family get those veggies into our diet. So even if you don’t have a toothless little around, I highly recommend keeping some pureed veggies on hand. This is a no brainer, but I always have a huge container of spinach on hand. 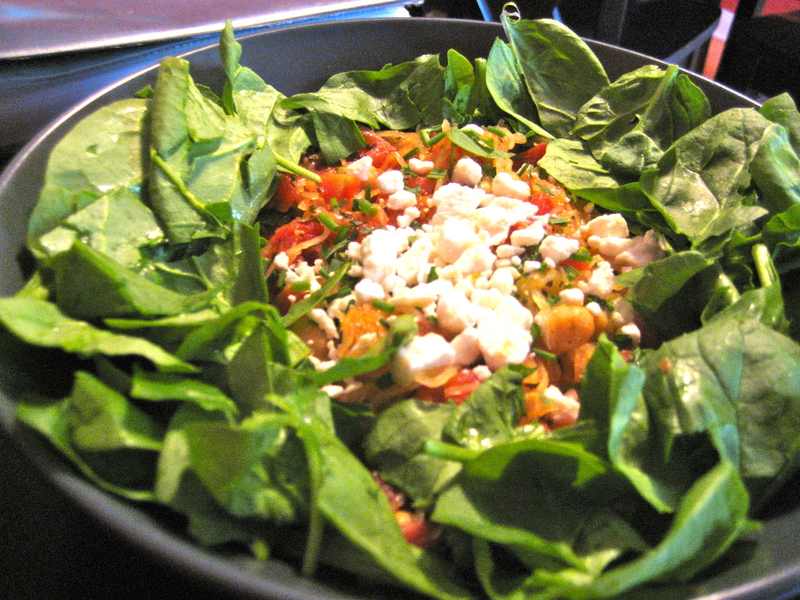 I add spinach to the base of pasta, chili, rice, etc. It is also my to-go lunch especially with my roasted veggies. And there you have it, my recent kitchen must haves. Basic and simple but oh so tasty. I’m embarrassed to admit how many dinners I’ve eaten recently that include ALL of the ingredients listed above. Happy New Year to all! 2011 was amazing but I’m excited for all that is to come in 2012. 1. 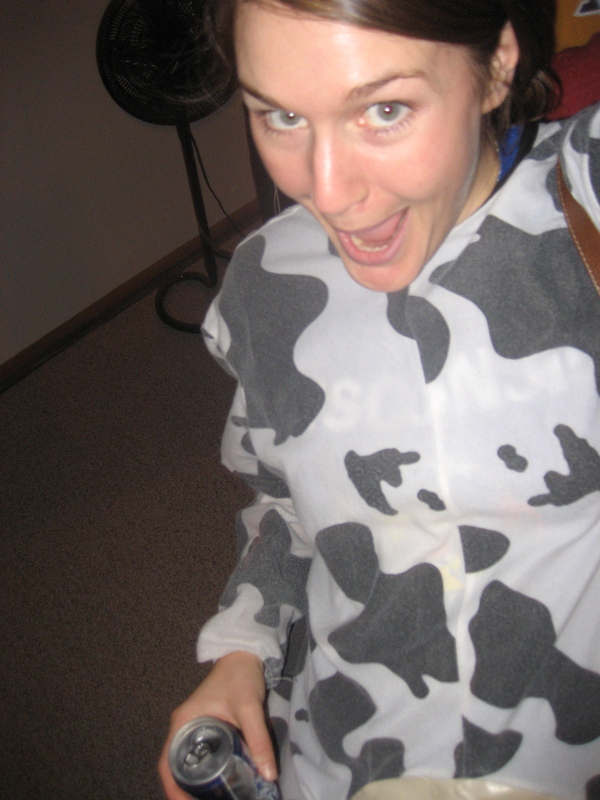 This isn’t the first time I’ve dressed as a cow on Halloween. It is just toooooooo easy and a comfy (warm) go-to costume. 2. I’m not looking forward to Winter. GASP. I’m just not looking forward to be freezing, even though I love the pretty snow. I’ll be wearing a snuggie and fleece socks for 5 months. Cheers. 3. I LOVE LOVE LOVE my talented cousin’s new blog and she is such a great blogger. Check her out. Delicious Duds. 4. I’m sort of obsessed with fleece lined tights...please refer to #2. Halle – Do you approve? I wish you could dress me daily. 5. I have ZERO clue what brocade pants are….can someone inform me. Halle? 6. I’ve eaten more pb&j, quesadillas and random sandwiches in the past 5 months than I’ve ever eaten. It hasn’t been the more blog worthy couple of months. Apologies. 7. My daughter fell asleep during story time and before her last feeding. 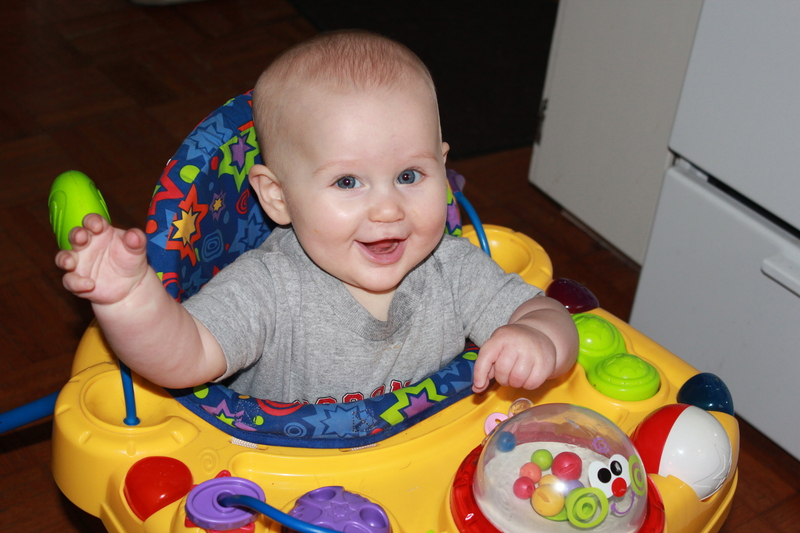 I’m in for a loooooooong night, but the sleep deprivation is totally worth it. 10. I love me some dairy. I’m a proud Wisconsin girl and I love my cottage cheese, cheese, yogurt and milk. So far, the transition to motherhood has been fairly easy. I sort of knew what to expect (being really close to my sister and brother as well as my five nieces) and I was the most fearful about sleep deprivation but so far, Zoe is a pretty good sleeper. I realize this can change whenever and when she starts teething (which I think is coming soon) we might go through another rough patch. If you aren’t interested in knowing about my milk supply or pumping situation, please stop back later this week and I’ll have a tasty recipe for you. Something I wasn’t at all prepared for was the dip in my milk supply when Zoe started sleeping longer stretches and again when I returned to work. Everyone is different, so if new moms are reading please realize you may never experience any of these issues. I’m actually proud of myself for being as on top of the situation as I was and continue to be, because it isn’t really my style. While I’m impatient, I’m also lazy when it comes to doctor/health stuff and usually let my body figure things out. I noticed (more intuition than anything) I was pumping less and less at my regular evening pump session that I was using to build a freezer supply when I returned to work. I had read that a lot of times it can take a few weeks for your body to get used to the transition from nursing exclusively to pumping and nursing, so I wanted to be prepared and less stressed. I called the lactation consultants and went through what was going on and my concerns and they recommended that I start drinking mother’s milk tea and taking the herbal supplement Fenugreek. (Side note: A side effect from the herb is smelling like syrup…not kidding) I had read about the supplement already but waited until I had spoken with my local lactation consultant before taking the supplements. Most women noticed a dramatic increase in their milk supply within 48 hours, I noticed a slight increase but nothing to write home about. Once I returned to work and we were still tracking home much she ate versus how much I pumped, my intuitions were confirmed (and fears made reality) I wasn’t producing with the pump what I needed in order to sustain her. It is an awful, helpless feeling not being able to produce enough to feed your beautiful baby but I tried to stay relaxed about the situation and hope that things would figure themselves out with a little bit of time. At this time, the lactation consultant also recommended I try an additional herbal supplement called Mother’s milk. This is a blend, that I found at Whole foods (or can be found on iHerb as well). I also emailed a fellow blogger who also struggled with her supply levels and blogged about it. I can’t thank Heather enough for her helpful emails which walked me through everything she tried. Without her, I would never have known that there were prescriptions available to try that have helped some women increase their supply. The first month back to work, I drank tea religiously and took my supplements daily. I did my very best to pump at the same times every day (2-3 during the day, once at night) and my supply was still decreasing. I remember coming home one evening after forgetting my pump parts (I should have been dying) to my starving daughter and I wasn’t able to let down and hadn’t produced enough to feed her. I cried and then feed her a bottle for the first time. The freezer stock was gone, so we started supplementing with formula. I wasn’t at all against using formula but I did want to continue nursing for as long as possible, I wanted to see what other options the lactation consultant would recommend. After one full month of trying everything the lactation consultant had recommended, I called back to see what other options I had. I also mentioned that I had heard prescriptions might be an options and that I wanted more information. Can I just say, I haven’t met a lactation consultant that I didn’t want to hug? They are so warm, understanding, encouraging, helpful and knowledgeable. Love them. Right away, they discussed the prescription as a viable option given my health history and I started almost immediately. I’m happy to report that I’ve been taking the medication for just shy of a month and it has made all the difference. I don’t like being on the drug….or its side effects (so drowsy and weird dreams and gas) but it has double my milk supply easily, so I’ll take it. We still have to supplement a meal here and there with formula but it is much less than a month ago. I’m hoping I won’t be the small percentage that will need to continue taking the prescription once I’ve gone through this course of “treatment” but we will see. If you have additional questions please feel free to email me at leanneehughes at gmail dot com. I know this post isn’t typical but Heather’s post and support (and the lactation consultants) helped me through this rough patch and if this post can provide knowledge or support to another person, then I would consider it a success. 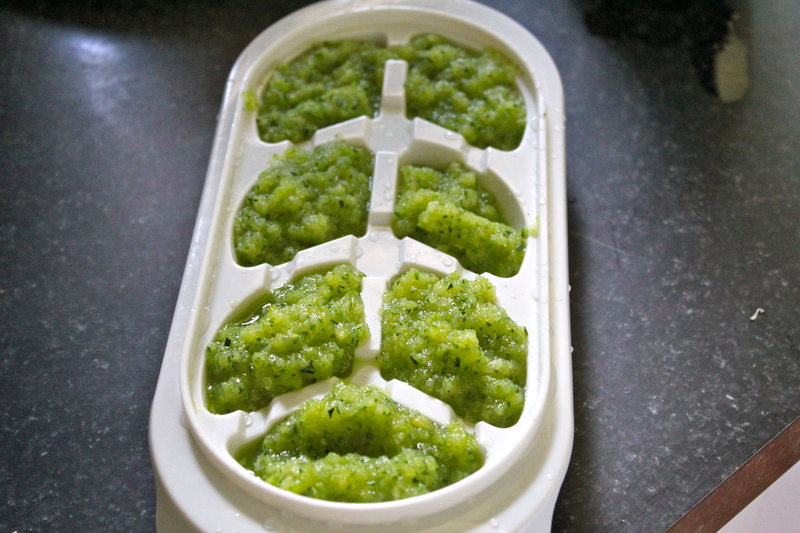 – Build up a freezer supply early on, so you have stock and peace of mind. – Hydrate, hydrate, hydrate…it matters. – Relax, don’t stress if you noticed a dip in your supply when you return. This is common and typically balances out once your body adjusts to the new norm. – Once your baby is sleeping longer stretches, pump in the evening before bed. 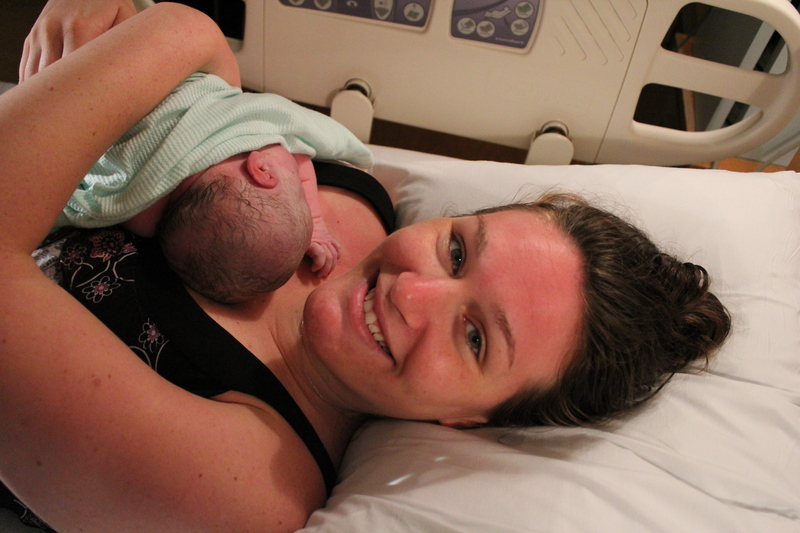 If you are just visiting my piece on the internet and are interested, you can read birth story part 1 here. *Edited to add photos that I forgot the first time. At this point, I felt no different and no cramping or pain so I figured we were preparing for the marathon 24-48 labor that our birth class had taught us about. 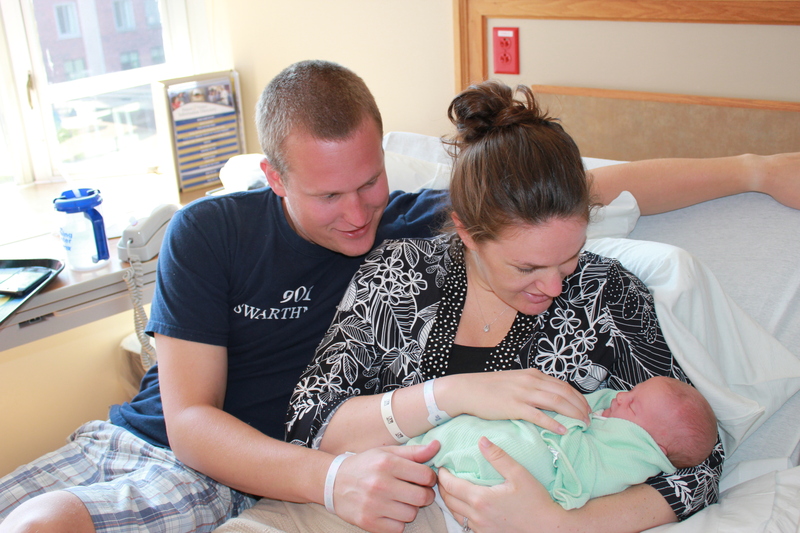 I did what I was told and called the midwife on duty and did my best to explain what happened. I explained the water leakage and that I felt no different other than that symptom. The midwife actually told me I could go back to the Union!! She said to relax, rest and call back in a few hours to check-in or to call back sooner if something drastically changed. EJ and are at the grocery store stocking up on snacks and fluids because we hadn’t completely finished packing the hospital bag. I kept reminding EJ to grab snacks because, “this isn’t a sprint, it’s a marathon.” We also decided that we should stock up on softener salt as well…..priorities. At this point, I’m feeling very very light cramping and I don’t think these are contractions but for kicks we start tracking the length and duration on EJ’s phone. The contractions were all over the map and varied from 10-20 minutes apart. No change in pain level or contraction length or duration but I finished packing the hospital bag in case they told us to come in that night although I was really hoping for one more night in my bed. Kerri and Sammy called to see what we were doing that night and it was fun to tell them about the day and calling EJ off the field. They offered to bring dinner over around 730 and we happily accepted. We called the midwife again as she had instructed and told her that although the contractions (I still wasn’t sure if what I was feeling were contractions) had dialed up a bit, I was still easily able to laugh and talk through them. When Kerri and Sam arrived, I had zero appetite which alarmed me a bit because I ALWAYS have an appetite especially when it comes to Sam’s mom cooking. Have I mentioned how much I love Kerri and Sammy before? They mean the world to us and it seems fitting that they were with us during some of our last hours as a couple. Kerri took over tracking the contractions while to boys installed the car seat. Around 7:30 things started to change and the contractions intensified. I knew these were the real deal and I had to close my eyes, bend over and sway to get through them. After a few cycles Kerri mentioned that the contractions had gotten really close 2-3 minutes apart and were lasting 1-2 minutes in duration. I called the midwife to let her know what has changed. She told me to that she wanted this pattern to hold for atleast an hour before advising us to come to the hospital. She suggested that I get into the tub to help release some of the pressure and pain. We say our goodbyes to Kerri and Sam, thank them for there help and get into the tub. This was the most painful hour I have ever known. I just kept telling EJ, she (our birthing instructor) lied, she lied, she said I would get a break. She lied. I fell deeper in love with EJ that night. He held me hand the entire time and I’m pretty sure I was crushing it. He told me how amazing I was so many times I lost count. He was everything I needed and wanted. EJ calls the midwife back because at this point I’ve turned into the shedevil and I’m cursing/moaning/screaming every 2 minutes. At this point, I really started to doubt my abilities. I think I told EJ more than once, I can’t do this anymore and I’m going to need the epidural. The midwife is surprised when we called back, I think she thought the same thing we thought, that the contractions wouldn’t hold in the 2 minute range because they dropped from 10 minutes apart. Wrong, they did hold and they held something fierce. I think she also heard me in the background and told EJ to get us to the hospital quickly. Weirdest, most painful car ride I’ve ever taken. Almost shattered the window glass with the seatbelt I sent flying when a contraction struck in the hospital parking garage. EJ was terrified but wasn’t letting on at all, another reason I love him. The nicest, most informed security man wheeled me to the maternity floor because in my contraction haze I couldn’t remember where to go and I couldn’t make the walk. Made it to triage. The nurse kindly warned me that she was going to wait until my next contraction had passed because after she checked me, the following contraction would be much much more intense. 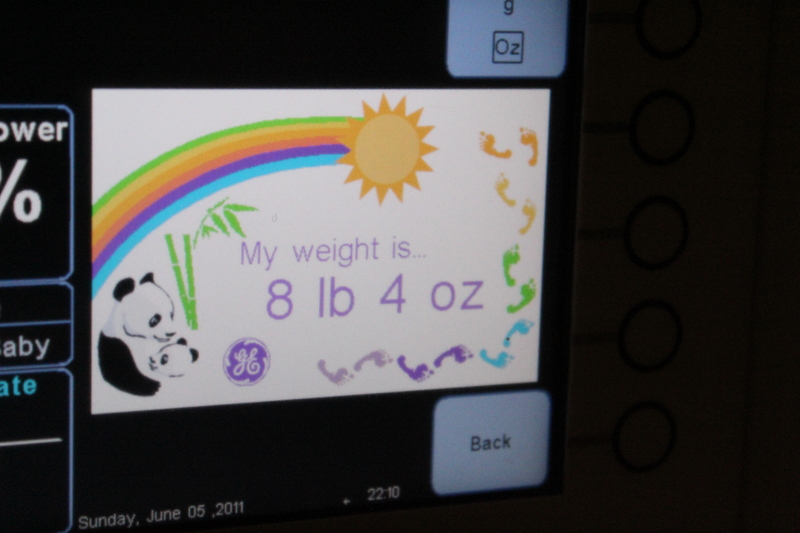 I’m 9-9.5 CM dilated and I’m in disbelief……..then the next contraction hits and she wasn’t f***** kidding. (I actually said that)I kept apologizing to the other couples for how loud I was being as we were wheeled out and into our room. The next 25 minutes are a bit fuzzy for me. I only remember three things clearly. First, telling everyone that I felt the need to push. Second, being surprised that my midwife said okay. And lastly, EJ’s face coaching me through it all. 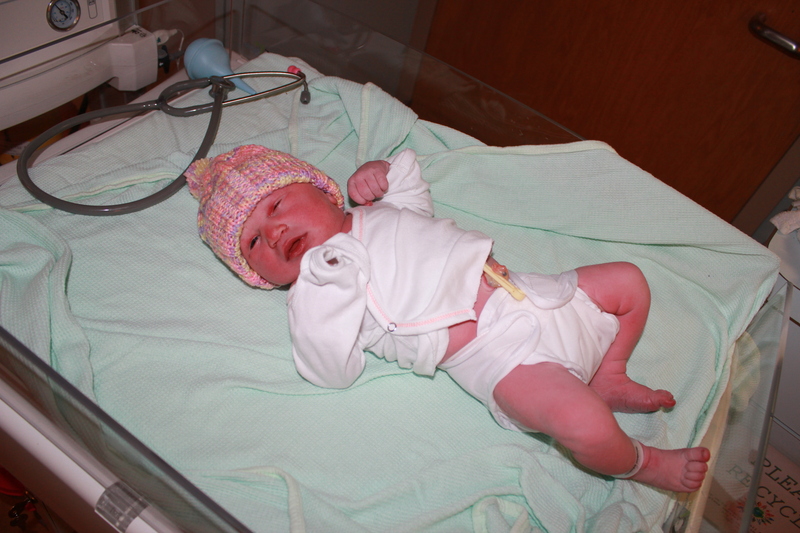 At 10:01 pm on June 5, 2011 I met my daughter. I was very surprised that she was a girl. Everything happened so quickly and we weren’t able to let all of our family know that way that we had planned but it was a pretty fantastic day, that ended with a daughter. Baby Johnson went without a name for over an hour. Although I had held her immediately, she needed to be weighed, measured and bathed before I got her back. We were torn on the name and I told EJ that I couldn’t decide without really looking at her. Zoe Elizabeth was in a hurry to be born on June 5 and we couldn’t be happier. In just a over a week my little girl will be 5 months old. *The times are just estimates and added for humor more than anything else. I’ve been meaning to write this post for a while and I realize it is coming nearly 5 months late however, I would like to have a recount of my thoughts and feelings to share with Zoe someday. We spent our last Saturday as a couple sans baby celebrating the union of one of my college roommates. Congrats Megs and Brent!! We boogied on the dance floor, made silly faces in the photo booth and I ate both kinds of the cupcakes. But we didn’t stop there, after the wedding fun start to wind down, we head to a with my college roommate Ashley and husband. It was the perfect last night as a couple. With all of my college roommates in town for the weekend, I wanted to spend as much time with all of them as possible and made plans to meet Heather and her fiance Tom at the Union for an ice cream/coffee date on Sunday (June 4th) afternoon. June 4th happened to be a rather warm and I was feeling brave, so I set out to the pool to visit EJ and take a dip to cool off. I remember mentioning to EJ that I was feeling a little different but that it was probably just my body naturally getting ready. I’ll back up for a second to let you know that my official due date was June 7th, however I wanted to hold the baby in until atleast June 9th and then I wanted it out. That was EJ’s last year of the school year and logistically it would have made our life alot easier if the baby was born after June 9th. Not to mention that one of my client’s campaigns was launching on June 6th and I wanted desperately to be able to launch all of my tactics myself. Okay back to June 5th. After the pool, I showered and got on my way to meet Heather. As I parking the car (getting out of the car) I felt fluid, but I honestly thought that I might have peed my pants. Don’t judge until you’ve been 10 months pregnant, anything is possible at that point in pregnancy. It was one of those moments in life when you have a fairly in-depth conversation with yourself. I’m was telling myself that it couldn’t be my water breaking bc only 30% of women’s water actually break to start labor. It couldn’t be my water breaking bc I had work tomorrow……bc it would feel more like a gush of water (sorry dudes)…..lots of talking myself out of what I sort of already knew at this point. A quick trip to the bathroom confirmed what I had been hoping was just nothing…..not nothing. This was it…..labor was imminent, however EJ was in the middle of a soccer field without his cell phone. 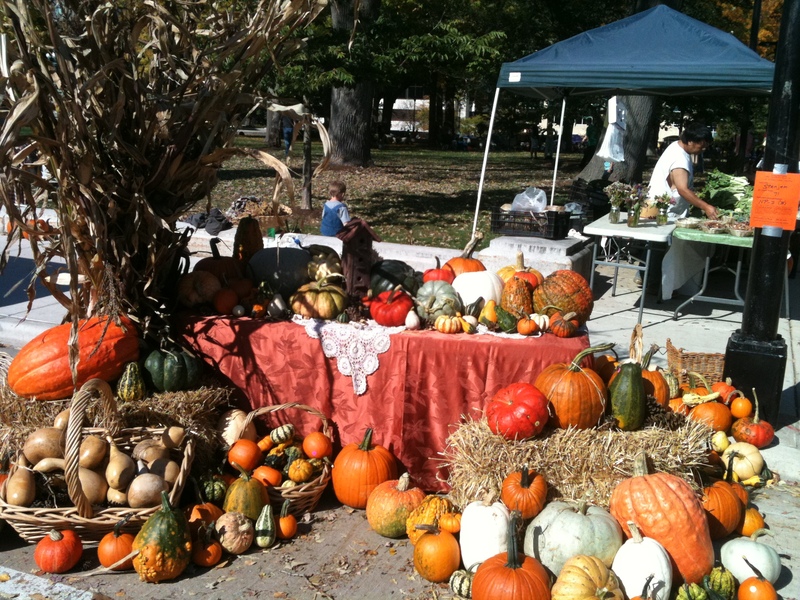 EJ and I have a yearly Fall tradition. 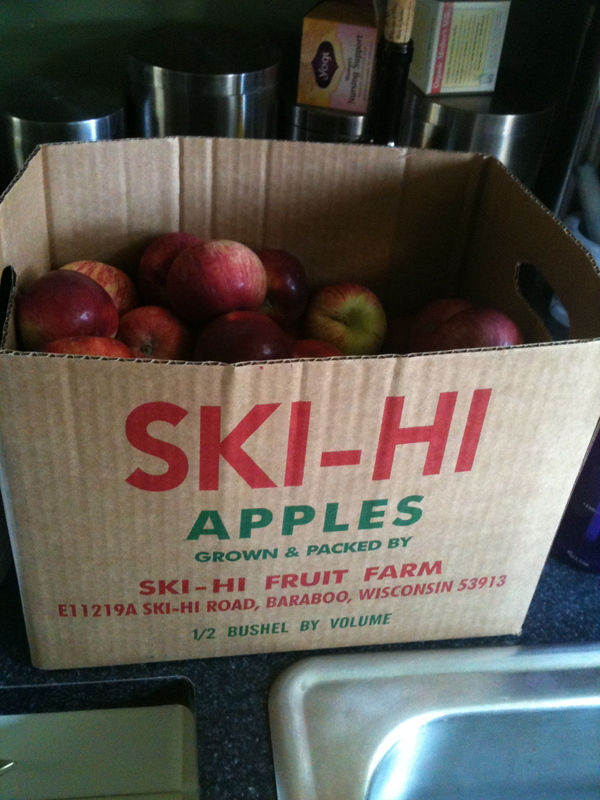 Each Fall we make the drive to Ski-Hi Fruit Farm and pick up some of their delicious apples, pie and cider. This year it was extra special because Z got to join our family tradition and I knew that I would be making her baby food with some of the loot. When we got back I got straight to work on something special for the adults and for Z. I saw a friend post a recipe on FB for a crockpot applesauce and I made a few adjustments. I’m not sure where it came from…so I can’t given the source credit. 4 ingredients? Yes, please. 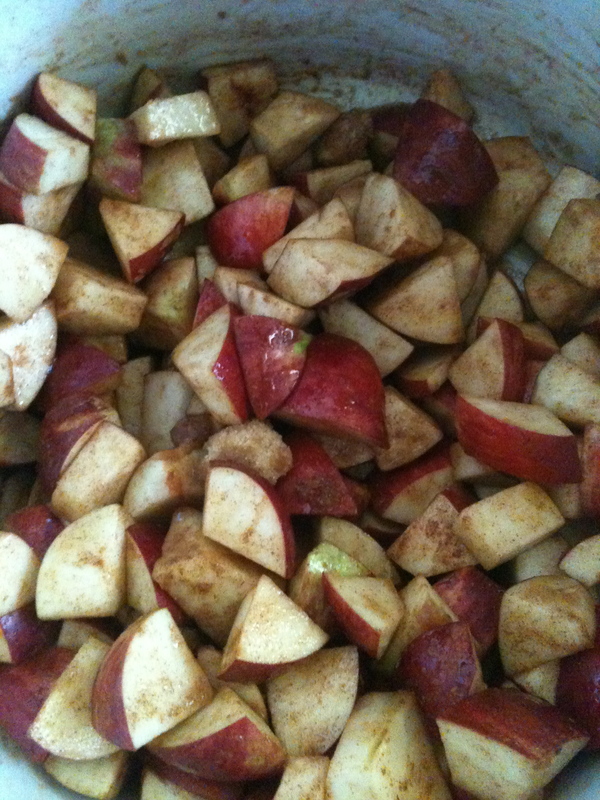 Evenly coat the apples with the cinnamon, lemon juice and sugar then turn the crockpot on high for the first two hours, then on low for the next 30-60 minutes. After the first two hours I used a potato masher to mash the mixture into sauce. You need to make this, it is delicious and the perfect Fall dessert especially with a little vanilla ice cream. Next on my weekend to-do list? I’ll give you a hint. 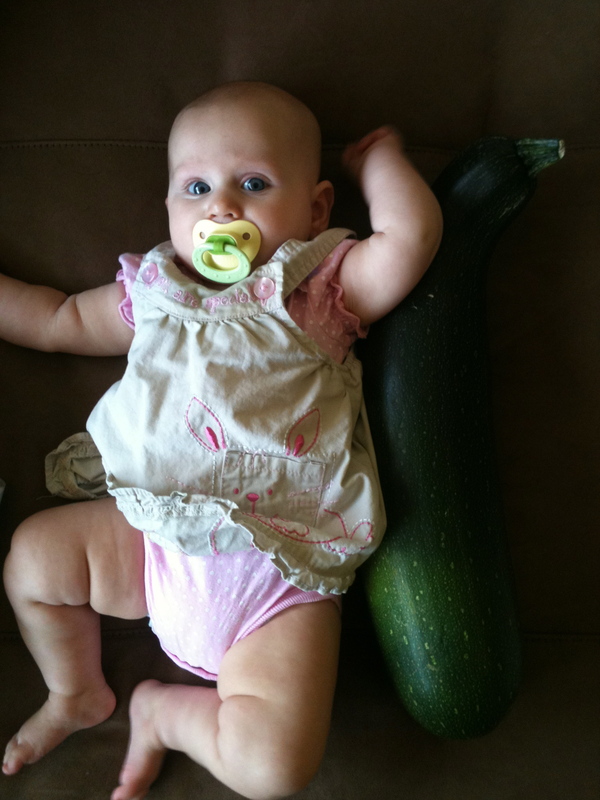 Yes, that is a zucchini the size of my daughter that I found hiding in my garden. I hope Z like zucchini puree, because there is ALOT. 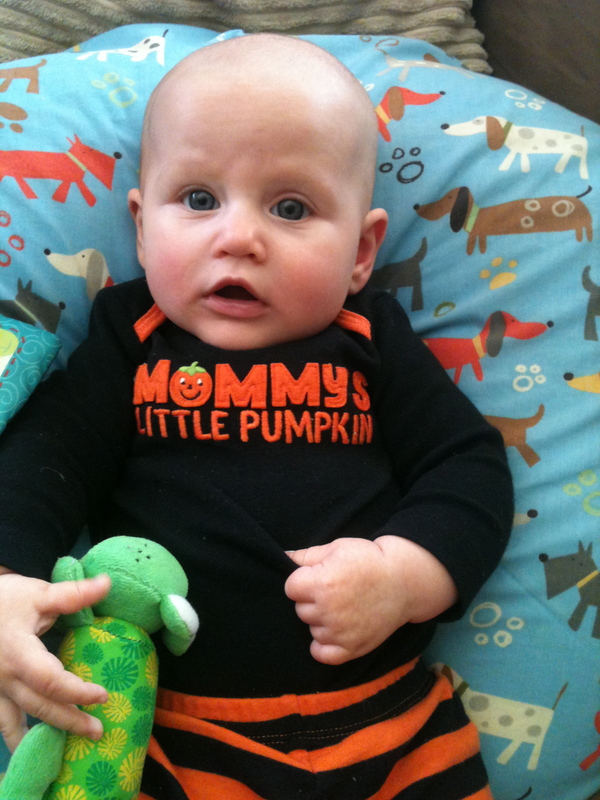 Next on my baby food list is butternut squash.